“I’m walking down the aisle, and the gentleman said as loud as he could, ‘Trump!” recounted Lewis. “The 77-year-old has been a vocal critic of Trump, refusing to attend the Civil Rights Museum opening in Mississippi if Trump was in attendance and Trump’s State of the Union speech scheduled for January 30. On a recent MSNBC appearance, Lewis said Trump speaks and behaves like someone who knows a lot about being a racist. “It must be in his DNA, his make-up,” said the congressman. As someone who has endured far worse than harsh words, Lewis was not deterred by the taunts on the airplane. Lewis was Booker’s first guest on what is planned to be a weekly podcast which will feature activists devoted to fighting injustice and inequality. 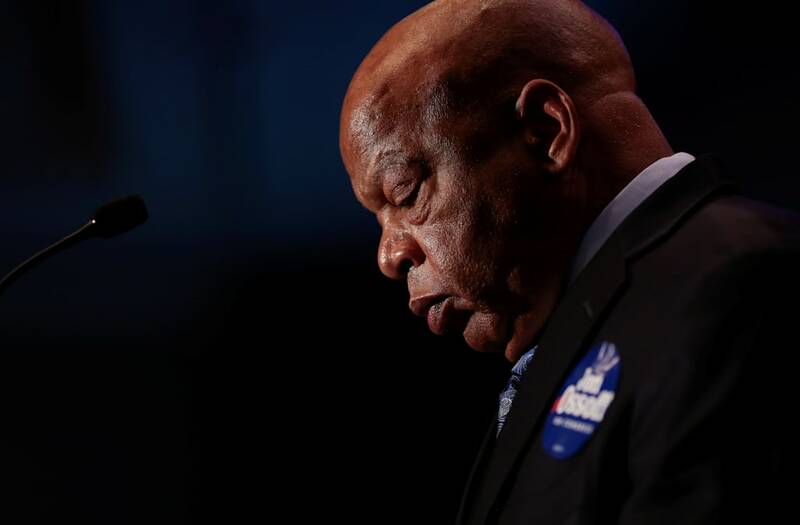 The post Congressman John Lewis harassed with Trump chants on airplane appeared first on theGrio.